When I talk about Outlier pants with people who are not familiar with the brand, I do so by taking great pains to call them “technical versions of normal pants”, instead of trying to call them cycling pants, or travel pants — because for many people they’ll be more stylish than the pants they currently wear and those terms don’t do them justice. Outlier pants will also be more comfortable, durable, and versatile than almost any other pants. So when it comes to Outlier, I’ve not found anyone making better pants. With that in mind, here are my thoughts on the pants they sell, where they fit in, and my advice on each of them. This isn’t Outlier’s first/original pant, but it is what they consider their ‘core’ pant (I own two pairs). What’s hard to get over with these pants is just how poorly named they are, and that name really frustrates a lot of people. Initially, I didn’t buy them, because I’m not a skin tight pants type of guy, and thus I was worried these would be far too slim. However, these pants are a fairly standard tailored cut. Overall, these are my favorite Outlier pants, as they are incredibly versatile and comfortable. They don’t have a magical amount of stretch, but they have enough stretch and are designed well enough that I never find discomfort. They are the very core of the Outlier pants, because they are the best to start with and by far the best all around option. I wouldn’t hesitate to do anything in these pants, and yet they look like a nice pair of jeans. I started this guide with these pants for a reason, because everything else on this list is somehow less versatile than the Slim Dungarees. However, as comfortable as these pants are, they have nothing on some of the other options. I wear these about 80% of the time. For the Futureworks, Outlier made a pair of chinos with F.Cloth — a very stretchy and lightweight material. These pants are going to feel thin when you put them on, and yet they drape well enough that I’ve never had anyone point them out as being out of place in an office setting. They look like chinos, but can be comfortably warn in very warm climates. I’ve worn them in 90 °F+ humid weather in Houston and been fine. Strongworks are not a variant of Futureworks, as the cut is different yet they look similar. They are made from Outlier’s Strongtwill, which is heavy and very durable. If you wanted a pair of pants that don’t look like jeans for the cooler months, these are them. I wore a pair for an entire winter and while I liked them, I eventually came to dislike the cut of the pant. It’s an acquired taste and thus you should pay close attention to Outlier’s dimensions and press images on this pair of pants. 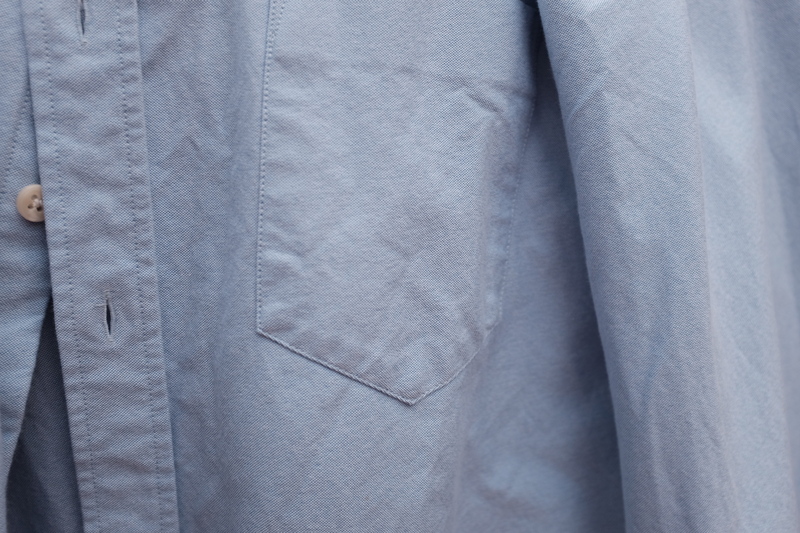 This is Outlier’s take of a heavier pair of 5-pocket jeans. They are similar, but not the same cut, as Slim Dungarees — they are generally a little bigger. (Steve finds they fit him in the thighs well, unlike the Slim Dungarees. If anything, they fit even larger in the thighs than the Futureworks.) They utilize the same Strongtwill as the Strongworks, and are thus just as durable. They are also very comfortable to wear, and as long as the temp is below 50 °F, they are among the better pants to wear from Outlier. They also look closer to a non-synthetic material than even the Slim Dungarees (they look the least technical of all the Outlier pants). What they lack in stretch, they make up for with signature Outlier treatments like a gusseted crotch and more. These are made from Outlier’s OG Cloth, and this is the stretchiest, most insane fabric you can get. They are styled very casually, fit and wear casually, and I describe them like wearing loose fitting yoga pants — you won’t want to take them off. OK, I’ve never worn yoga pants, but this is what I imagine wearing yoga pants is like. If you want something for outdoors wear, you could do a lot worse than these — as they were made for actually climbing in. I personally find my pair much to casual to wear out of the house unless I am hiking in them, but I do wear them everyday when I am lounging around. They are the most comfortable pair of pants I’ve ever owned — including warm ups and sweat pants. If you live a casual life, start here. If you have an office that is borderline business causal, you could wear these all day and look sharp. Any more formal than that, and I think you would be pushing it. However, if you work in a restaurant, these might be the game changer for you if Reddit posts are to be believed (then again, the price will really hurt). The 60/30 Chinos (a cotton/nylon/spandex blend) are a great pair of pants if you don’t think you can pull off technical pants (even if they don’t look technical). They move, they are durable, and are treated with DWR for a little extra water resistance, but they are still mostly cotton. And while these NYCO blends can be quite good, they won’t perform nearly as well as most of the other pants on this list. They will, however, blend right in with every other pair of chinos. For the price, I’d rather have any other pair of pants on this list. While these aren’t pants, they do deserve an honorable mention for quite possibly being the most versatile shorts money can buy. Made from Outlier’s F.Cloth (same as Futureworks) they are breathable, durable, look sharp, and dry quick enough that you can swim in them. Yes, they’ll dry slower than purpose built swim trunks, but the mesh drains in the bottom of the pockets will allow you to swim without issue. Outlier makes a ton of other pants, from joggers to merino wool “backed” pants made for colder climates. 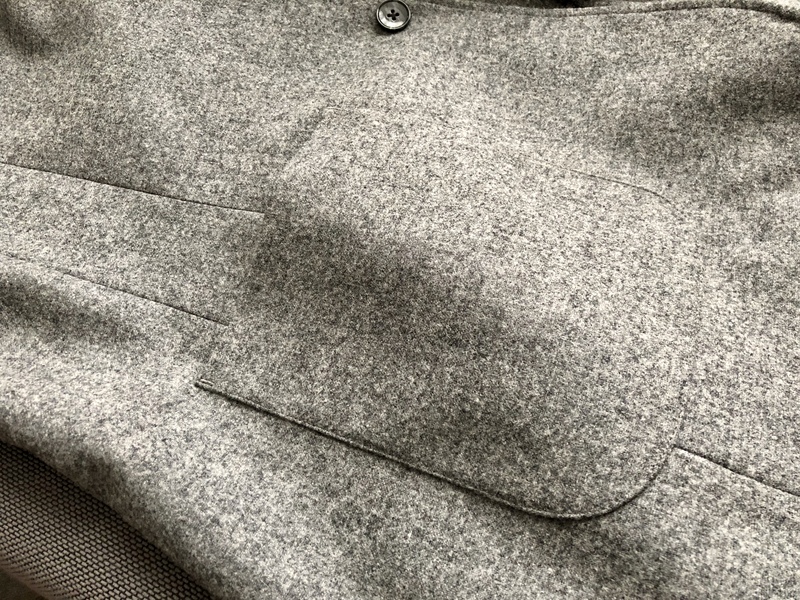 While there are far too many options to dive into, I will point out that they tend to use a core set of fabrics, so it pays to look at what the above pants use for fabric to help guide you on some of their infrequent offerings. For instance if you want Futureworks, but a trimmer style, look out for Futuretapers. Outlier seems to come out with a couple new runs of pants every month, so keep an eye out. We don’t typically talk a lot about hiking specific clothing, but we are nerds when it comes to new fabric technologies. 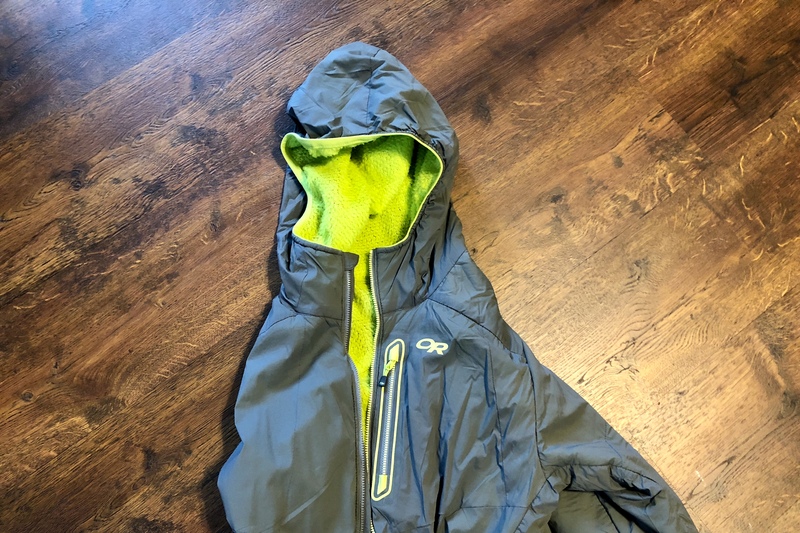 So with that in mind, when I recently picked up the Outdoor Research Ascendant Hoodie, I decided I should review it here. It’s one of the few items with a new type of insulation, Polartec Alpha Direct. 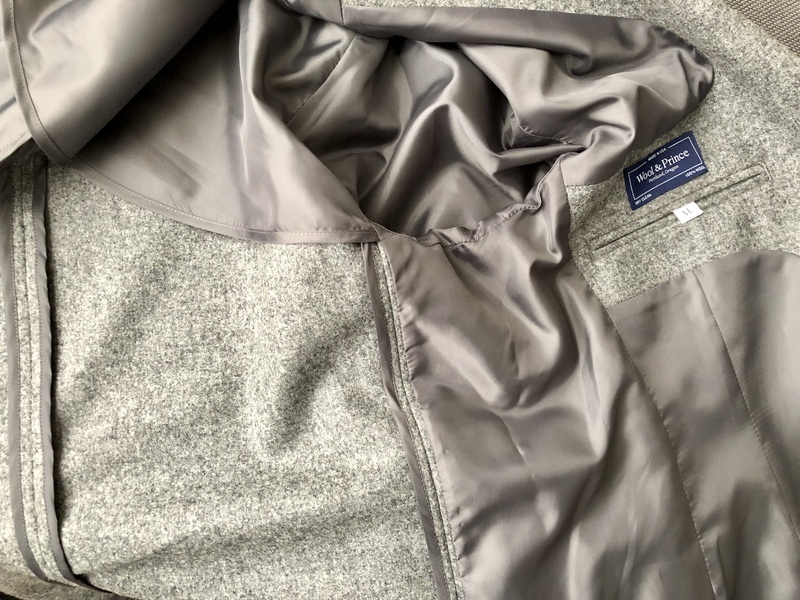 Unlike the old Alpha insulation, there’s no inner layer between the insulation and your body — in other words, the inside of this jacket is soft and fuzzy. This material has one purpose: to keep you warm, while allowing for a lot of breathability so don’t overheat while active. Originally, of course, it was designed for military use but is finding its way to more consumer products. Typically this is called “active” insulation, and there are many different flavors (from your typical fleece jackets to newer products like The North Face’s Ventrix lineup). I bought this jacket on sale, as I wanted to try the Alpha Direct insulation, and in the couple months I’ve had the jacket, it has become one of my most worn jackets. It has an athletic cut and the hood stays mostly out of the way (they have a model without the hood). The pockets are nice, but don’t secure so they are good mostly for hand warming. It’s been my favorite layer to grab when I need to head out and know that I might be spending time indoors — which I’ll get to next. In general, I really like the jacket itself, however I find the colors offered by Outdoor Research to be not great. They are all contrast, and thus project a very outdoorsy look — which I get away with in the Pacific Northwest, but might be problematic in other areas. I’d love for them to offer a solid charcoal version of this jacket, I’d switch to that instantly. In one word, the insulation in this jacket is phenomenal. I’ve worn this jacket working out with my heavy backpack on and building quite a sweat up during the work out and yet, I didn’t have to take the jacket off to stay comfortable. It breathes really well, and when you really start building up body heat, you don’t overheat. That’s not to say you aren’t uncomfortable, but in a situation where you’d rather not fuss with taking off the jacket, it excels. I can see exactly why this is used in military applications. Further, this insulation does a great job when you need something to grab and wear on your next trip to the store or mall. 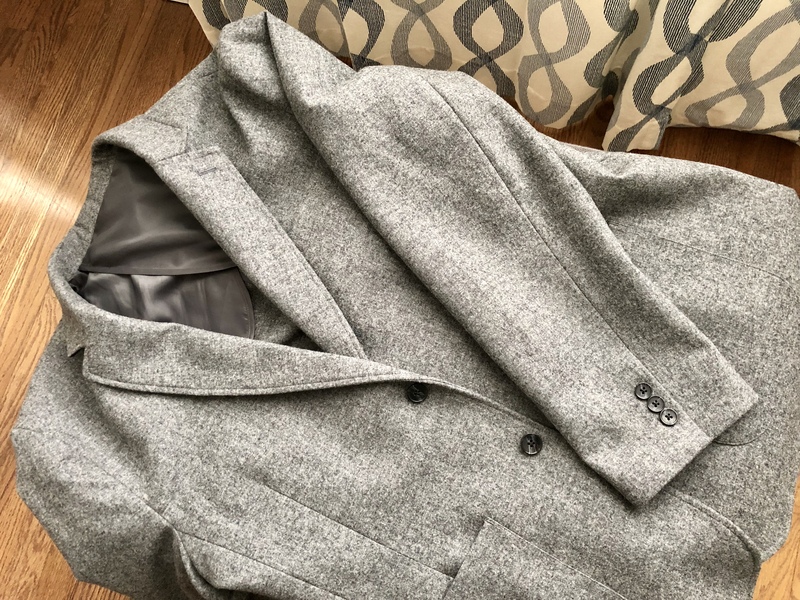 A constant struggle is what to do with your heavy jacket as you are moving in and out of warm stores — typically you undress and redress, or grin and bear being too warm or cold the entire time. With Alpha Direct, I’ve never overheated during those temperature changes, and you get the best of both worlds, mostly. In wind, or really cold temps, you get cold if you are not moving. Layers can mitigate this, but this won’t be the one jacket you need, and likely this will change greatly with the surface material being used in conjunction with the insulation. If you are climbing a mountain or hiking in cold weather, then this is the insulation layer you wear. In the past that was Polartec Fleece. I prefer Alpha Direct over fleece any day of the week, it does everything better (i.e. it breathes better, and insulates better, dries faster, and weighs less). While I don’t love the looks of this jacket, I’m willing to overlook that and wear it a lot. It’s comfortable, very light weight, and packs away well. While down jackets stow well, but are warm and bulky, and fleece is comfortable but doesn’t stow well — this Ascendant jacket excels in both areas. It’s like a hybrid of fleece breathability and warmth, with the light weight and compression abilities of down. Again, if the colors were less in your face, I’d say this is a crucial jacket to have in your closet. 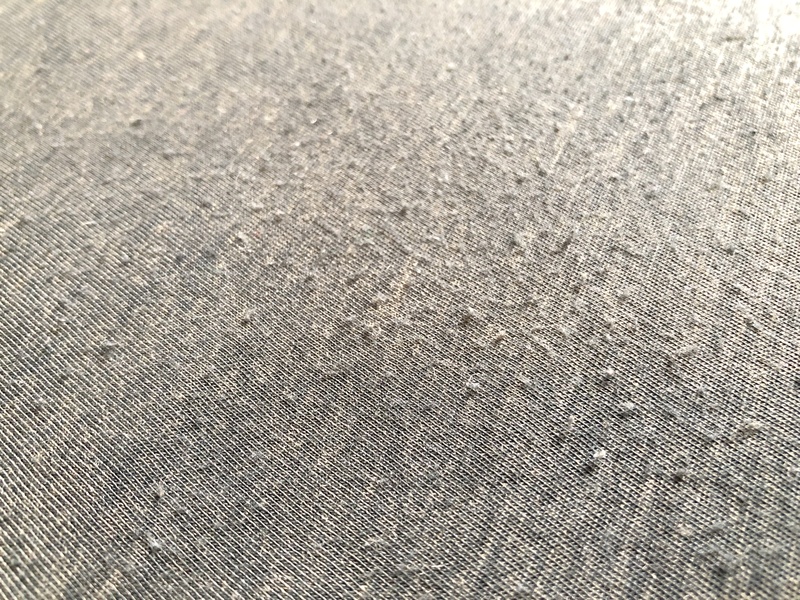 One of the big criticisms of merino shirts for general wearing is whether or not they can hold up to abrasion. Typically the concern is less about wearing a hole in the shirt and more about the shirt pilling when doing normal things (like wearing a backpack s of particular worry to those who like to travel in merino wool shirts — as most bags are heavy when traveling and abrasion can be really high. I am ling at this throughe lens of wearing this type of clothing while commuting and traveling — not while hiking and doing more outdoors oriented stuff. In order to test what’s real and what is paranoia, I wore the same Smartwool 100% merino t-shirt while I rucked (working out by walking with a really heavy backpack on) for for weeks straight. A total of bout 60 miles of wear with a 30 lb GORUCK bag on my back. GORUCK’s bags are among the most abrasive bags on the market, and the added weight with the sweat from the workout makes it among the most adverse tests you can put these shirts through. During the course of the testing I only washed the shirt once per week and hung it to dry. This should simulate the amount of travel the average person does in a year, or a partial commute with backpacks. Most people won’t travel with a backpack this heavy, but this should accelerate any issues with pilling. In the first week I noticed pilling where the bottom of the bagand straps sat on the shirt. By the end of the test there was only minimal pilling on the back but it seemed to disappear on the shoulders. No holes or any otherwise noticeable problems with the shirt. After each wash, most of the pilling seemed to disappear as well. Cotton shirts also pill in these areas as well, so a large part of the talk around this pilling seems to be paranoia as it will tend to happen to most shirts. However, it does give me pause when wearing a GORUCK bag and something like Outlier’s Ultrafine Merino T-shirt. Having said that, I don’t think there’s a ton to worry about, and I still don’t hesitate to travel with my GORUCK and merino clothing. Yes, with a lot of use with an extremely abrasive bag, you’ll see some pilling, but certainly not enough to otherwise ruin a shirt. This isn’t the nature of 100% merino wool. The pilling is far worse on this shirt, not just in the areas where my backpack wears during rucking, but in any spot where there’s friction. It’s a shirt prone to pilling. 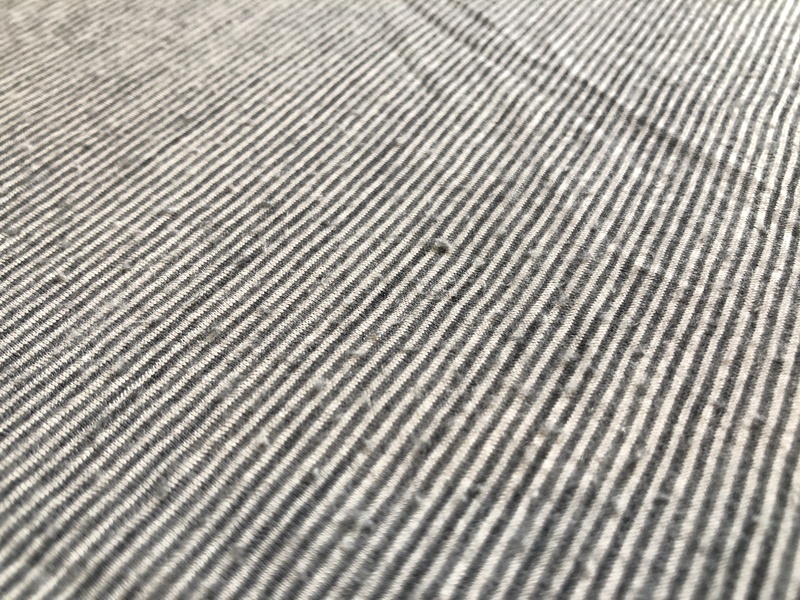 I have no doubt that some shirts pill more than others, but I have seen no evidence that 100% merino wool shirts are more prone to pilling, or less durable, than any other natural fiber shirts. 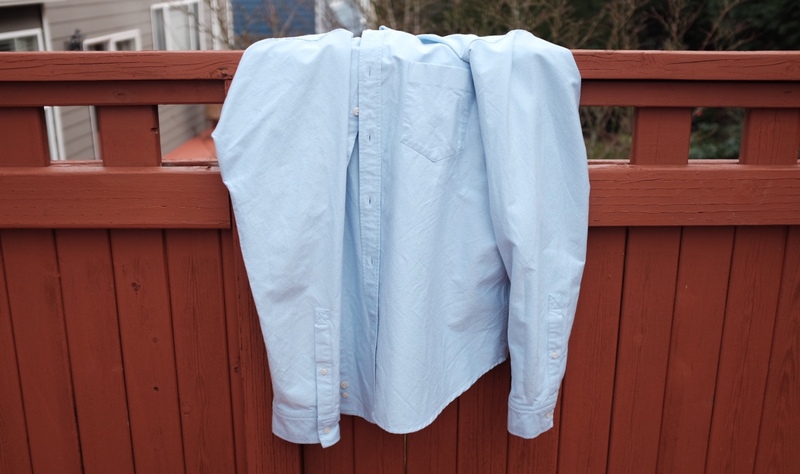 Packing Lite wrote a review of the Wilderness Wear MerinoFusion Light 160 Long Sleeve Tee. 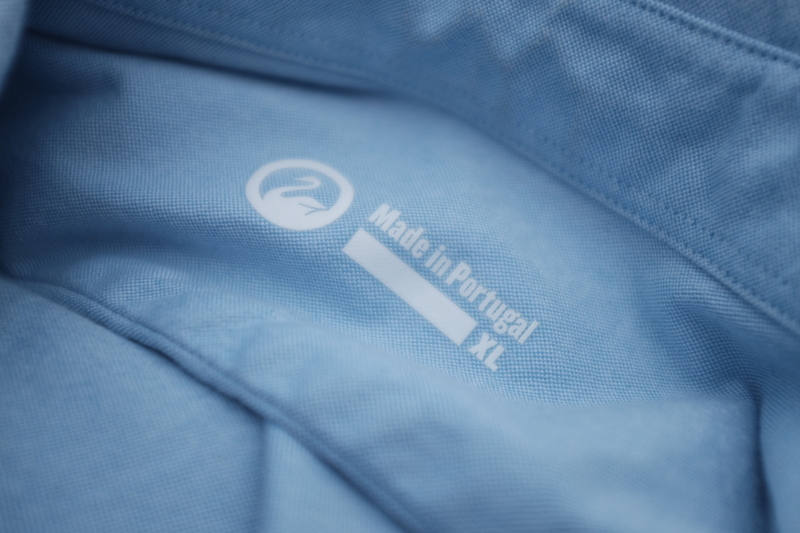 The shirt is a very interesting blend of 50% merino, 50% Schoeller polypropylene. We haven’t seen anything like this before (and Schoeller fabric is what’s used in performance clothing like Outlier). 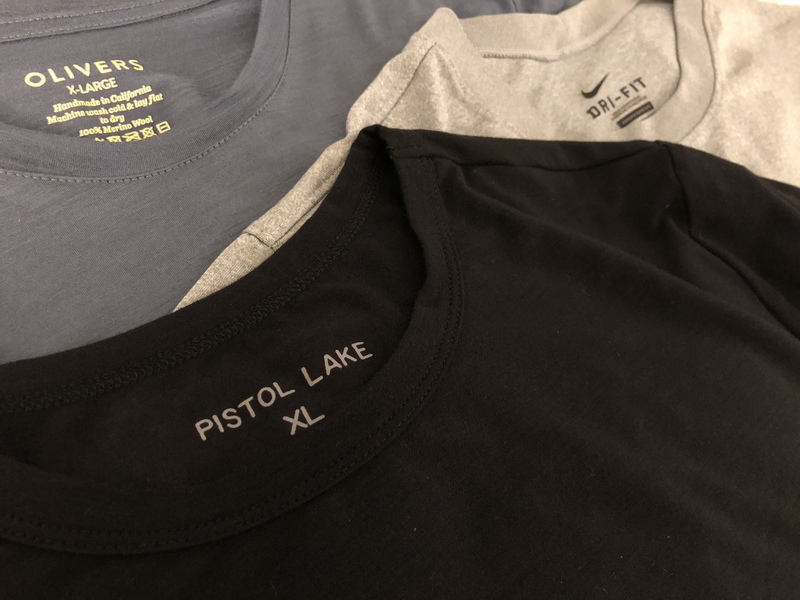 Pistol Lake is having a sale on some items through next Tuesday. 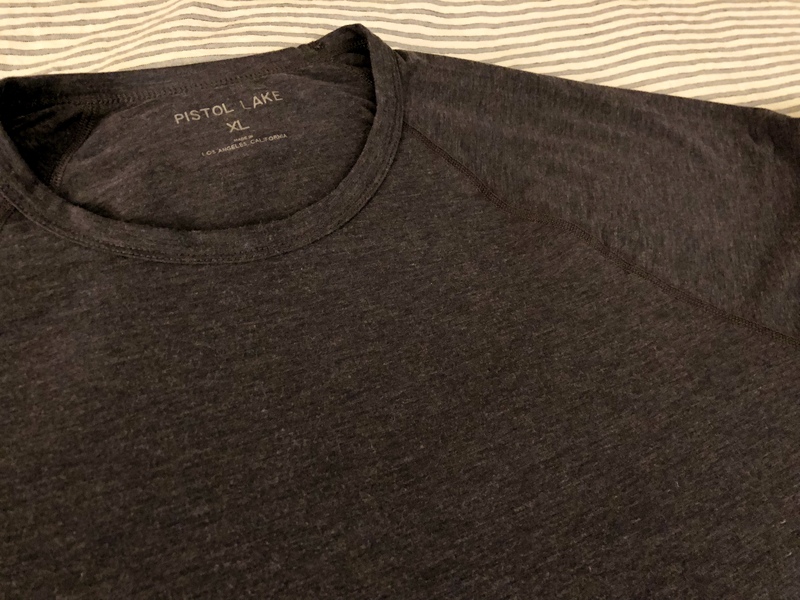 Look for the products made with Eudae (while not included in the sale, the Minimalist Performance Tee we reviewed is made with their Lightweight Eudae). CIVIC is offering 20% off through the end of the week (the discount will show in the cart). A potentially interesting and inexpensive merino cardigan has shown up on Massdrop. However, note the low retail price — this means it is probably fairly rough wool. My standard everyday attire is to wear a button down shirt, so I’ve been trying to find something more durable and perhaps — hopefully — something which still looks traditional. 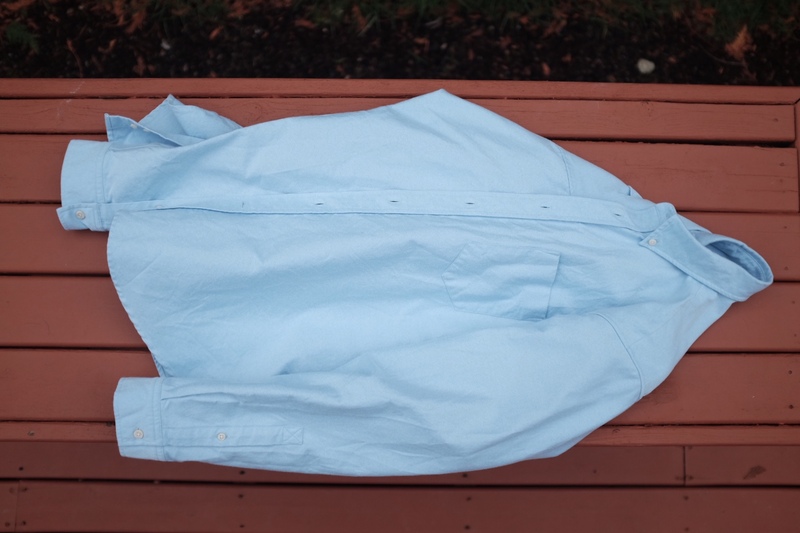 I picked up both the oxford blue and ligh gray versions of Outlier’s NYCO Oxford to test out. They are heavy, and certainly only for weather 70-75 °F and below. Outlier makes this shirt out of a 162 gsm 74% cotton, 24% nylon blend, thick, and feels like a indestructible version of a cotton oxford. The material is entirely treated with DWR, and that actually works quite well in a light rain. However, I’ve been less than impressed with stain resistance as I’ve noticed some light spatters of sauce when I cook with the shirts on — though a quick dab with a wet cloth typically pulls the stains right out. The shirt is far more rigid feeling than a standard oxford, while maintaining a soft feel and look to the fabric. The biggest thing with this this shirt is the nearly 75% cotton make up of the fabric. Typically this means wrinkles and smell absorption. On the issue of wrinkles, this shirt does surprisingly well at resisting them. The shirt will tend to show some rumples, not wrinkles, in the inner-elbow and other areas where the shirt sees a lot of movement. And while it won’t resist all wrinkles — I’ve yet to need to iron or steam these shirts, even after washing. I’m impressed. However, on the issue of smell resistance, it’s a normal shirt. If you can get away with a few wears in your normal cotton shirts, this will perform the same. On this issue, it’s very disappointing, but predictable for something with this high of a cotton count. What’s compelling about this shirt is that it is a baby step in the direction of much better clothing. It’s $98 and for that you get a better designed shirt, which is far more durable (DWR and NYCO) than most oxfords you find — all the while it looks nearly identical to standard oxford. 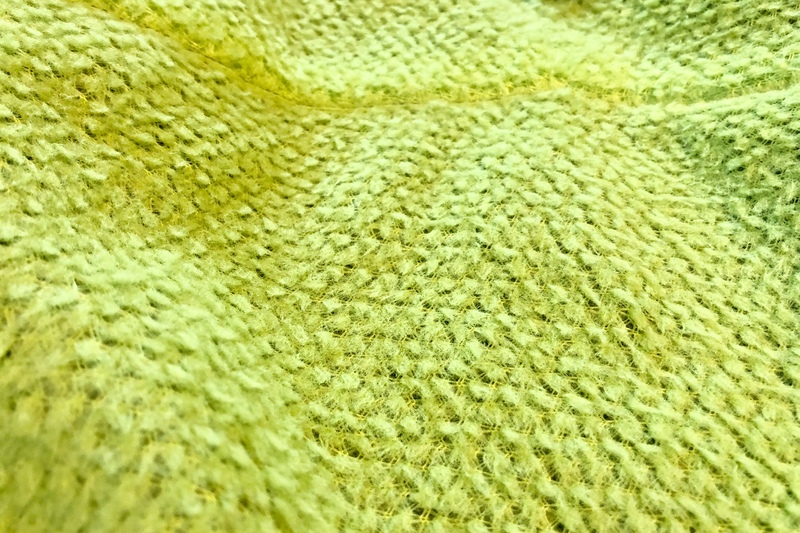 It doesn’t have the s powers of merino wool, but it also doesn’t have the drawbacks: differing hand feel, special washing, and a general more delicate nature. You could wear this shirt doing anything — and I have — and it’ll hold up great.